Do you hesitate to smile for photos due to missing teeth? Or perhaps you feel self-conscious about meeting people because of an imperfect smile. At Red Hill Dental, we offer dental implants that are an ideal replacement for one or more missing teeth. 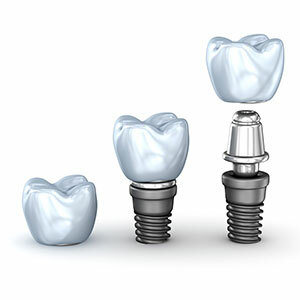 Durable, stable and long-lasting, dental implants look and function like natural, healthy teeth. They allow you to eat, smile, laugh and talk with greater confidence. When a damaged or decayed tooth is removed, both the visible part of the tooth (i.e., the crown) and the root are lost. A dental implant is placed in the jawbone so that it can fuse with your natural bone and becomes a strong and sturdy foundation for the replacement tooth. Dental implants can be used to replace a missing tooth or restore teeth for implant-supported bridges or dentures. An implant can also help prevent healthy adjacent teeth from shifting when an empty space was left for an extended period. At our practice, we use the premium digital dental implant system DIOnavi, which is the newest digital navigation implant surgery through 3D computer simulation surgery. It determines the optimal surgery plan with minimal incision of surgery and less pain. We are also thrilled to offer our patients All-on-4 dental implants, which provides a fixed, full top or bottom jaw total restoration. This enables patients without sufficient bone level to receive the benefits that dental implants can offer, without the need for bone grafting procedures. 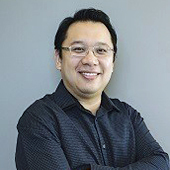 Possessing a Master of Clinical Dentistry in Implant Dentistry from Griffith University, Dr Henry Ho focuses on the clinical practice of oral implant restoration. An ideal implant patient will be in good general health, with healthy gums free of any disease. If you would like to find out more about dental implants, a consultation with Dr Henry will determine whether they are right for you. Contact us today! 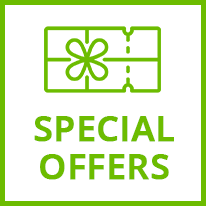 We offer convenient payment plans and our friendly, helpful staff is available to answer any questions you might have.